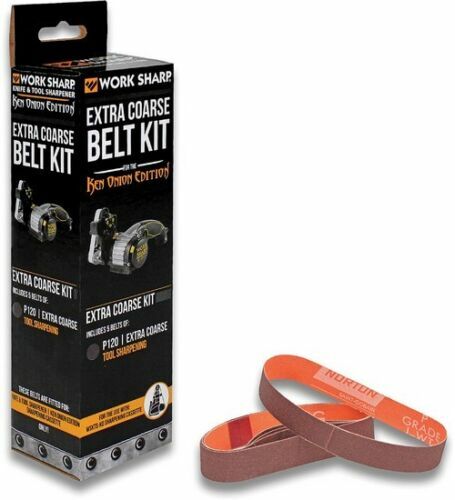 $49.99 WORK SHARP Combo Knife Sharpener /WSCMB With Free extra Belts. 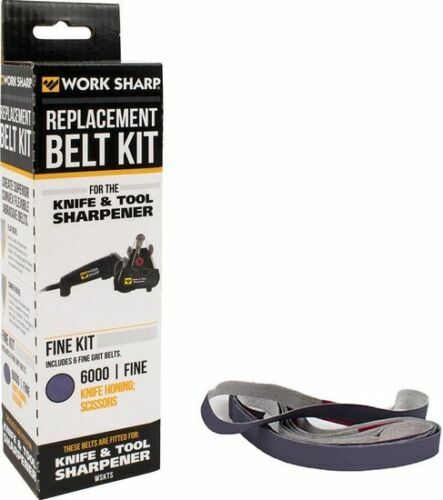 $19.99 Work-Sharp WSGPS Pocket Knife Sharpener NEW! 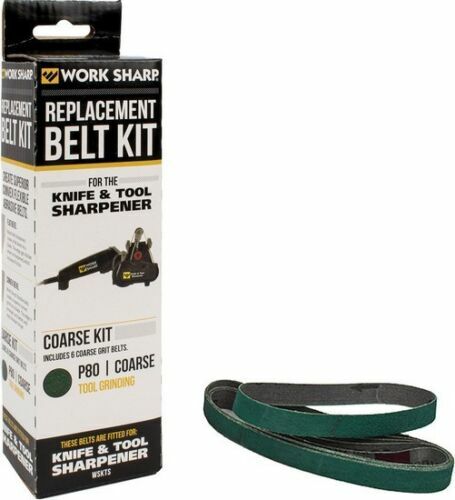 Buy: $21.56 Work Sharp Outdoor 6000 Extra-fine Grit Bulk Pack - " X 12"
Buy: $10.38 Work Sharp 3940 Combo Sharpener Belt Kit 0.5" x 10"
Buy: $37.64 Work Sharp Outdoor Ceramic Knife Sharpening & Repair Kit- " X 12"
Buy: $21.56 Work Sharp Outdoor Assorted Belt Accessory Kit WSKTS - " X 12"